The amount of 222,988 NXT has been purchased for the sole purpose of offering traders and speculators interested in trading a cryptocurrency prelaunch an option to do so, and we are able on OpenLedger to do so with the help of the Crowdfunding token ICOO. What ICOO offers is the token ARDR of Ardor which is a new project and platform of NXT. The tokens are offered 1:1 as an added token to the amount held in NXT from the time of first snapshot today July 14th and the last one October 12th. ICOO offers the amount of 222 988 OPEN.ARDR tokens backed by the equvalent amount of NXT held at the below ICOO account. It means that ICOO will keep this amount locked at least untill final snapshot. Any profits achieved from selling the OPEN.ARDR will be fully added to the monthly ICOO profit distribution. It means basically that any profits achieved from selling ARDR on OpenLedger from now on untill October will be considered pure profit, and since it is achieved without any ICO it is not a product for subscription as such, the ICOO holders will however be able to buy into an inital amount of 22 988, leaving the remaining 200 000 to be added to the markets on OpenLedger where a demand is considered the highest. OPEN.ARDR will be added to OpenLedger from July 18th, and therefore also only possible to trade from that time. An announcement will be made at this time also. With this way of offering an initial part of the ARDR made available for trading on OpenLedger as perhaps the only place anywhere except the NXT platform itself and running as a minimum untill October, it is the attempt to establish a price based on initial demand, and then place orders of the remaining amount accordingly. Since ICOO still has its own ICO going on with some 7 days left of level 3, ending JUly 31st overnight. You can visit www.icoo.io for more details or go to www.ccedk.com to have an idea what we are working with allover. If u wish to buy ICOO token it is still possible at level 3: 850 ICOO per 1 BTC. You may send directly to account: icoo with OPEN.BTC or order directly on www.icoo.io with many more cuurencies or do it via the account: ico.openledger and write in memo: ICOO and will also handle it from there. You can read more about Ardor in below Forbes article. Description ICOO asset investing in Ardor, holding it as collateral for the same amount of OPEN.ARDR to be released on OpenLedger. Anyone holding this asset on account at the time of the actual tokens of Ardor to be released can withdraw ARDR to the wallet created. Another thread will welcome this new token on OpenLedger, stay tuned. NB! As a side note it is possible to see ICOO starting to move although 3 more days to 4th and last level ending 3 AM EST August 1 2016. It only confirms as well that the exit option is a great offering to the ones in quick need of BTC, but in the same time rewarding the holders keeping their assets. You can go to the abobe market on OpenLedger to buy or sell ICOO, or you can go directly to ICOO site and still buy at best price possible 850 ICOO at 1 BTC for another 3 days. 1. It will allow the recently mentioned ICO prelaunch still not annonced by name to gain traction and to become perfect usecase for the ICOO concept to be explained through real life activity. c) The ICOO holders benefit in the form of any profits achieved from the services performed by the CCEDK startup bootstrapping offers, where 50% of this will be part of the profit distribution. To make it more interesting today 19 million of the initial 20 million have been burned prior to ICO finish, it means maximum available of ICOO tokens prior to first profit distribution an burn is 1 million. on how to participate in an ICO on OpenLedger. 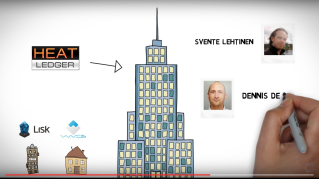 HEAT - Blockchain 3.0 video presented via the startup services offered from www.CCEDK.com and its agreement to help create awareness and as part of this also offer traders an early access to trade the HEAT token via the ICO subscribe option on same site. These services are powered by the crowdfunding engine ICOO, also presented with short intro on CCEDK. Trade HEAT today? Don't want to wait untill launch? Wish to have an exit option? and tokens OPEN.HEAT will be sent to you right away for you to start trading. Read about last crowdfunding days of ICO OpenLedger! Check the available markets on OpenLedger. Find out how to get OBITS bonus! AND 100 EXTRA ICOO ON ORDERS OVER 2000 ICOO! 2 Days left of the ICO of ICO OpenLedger (ICOO) - Welcome to Crowdfunding 3.0! NB. Last chance to pick up a good solid token with lots of potential and future added value. Congrats to all ICOO Holders - We are going to write history with all the ongoing projects and development with ICOO as center of it all, changing the world and playing an active part in this. Please make sure to follow the news and read the future mailouts and and subscribe to mailouts if not already. Whether you wish to subscribe to the HEAT ICO, or DeOS ICO or any other in future, it is possible at all times to send your funds to the OpenLedger/CCEDK offical ICO subscribe escrow account with the ICO you wish to join mentioned in memo. IMPORTANT: name of ICO in memo. When ICO has started, OPEN asset of the ICO in question will be sent to the subscribers having sent funds, respectively. Don't forget that HEAT ICO is almost finished! Read HEAT Whiteb paper on our blog! How to order in this last time of the ICO? 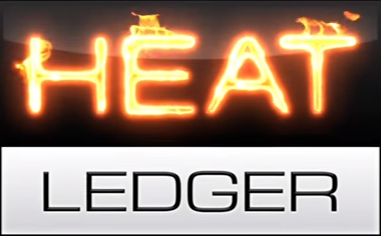 If you wish to take part in this actively by trading HEAT on OpenLedger up untill launch sometime in September, you may well profit from the option by ICOO and its crowdfunding engine offering ICO subscription with a 4% subscription fee in this way allowing you to buy into HEAT and trade same day. CCEDK invites you to the new frontier if finance! Yes, it's true. To find out more read article published on MaxKeiser.com. A key benefit of the ICOO fund is that it allows holders to exit their stake in a project before it launches – in stark contrast to traditional crowdfunding, where investors are stuck with their pledge and may have wait for months or longer. If they want or need to sell, it’s practically impossible. In coming weeks is expected a page on ICOO website showing the portfolio of funds, their real time value as well as ICOO overall real time value in terms of funds backing ICOO. Another page will be prepared as well to introduce any future ico's planned already if known and agreed by project leaders to disclose. Follow us for ICOO's breaking news and updates !! !